#stampinup #faithfulinkspirations I think we've waited long enough. 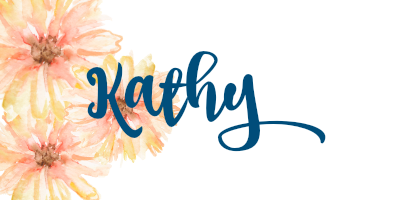 I know I've been dying to share some projects from the NEW 2018-2019 Stampin' Up catalog! You only have to wait a few more days before you can order these goodies, so I'm going to start sharing early to whet your appetite. 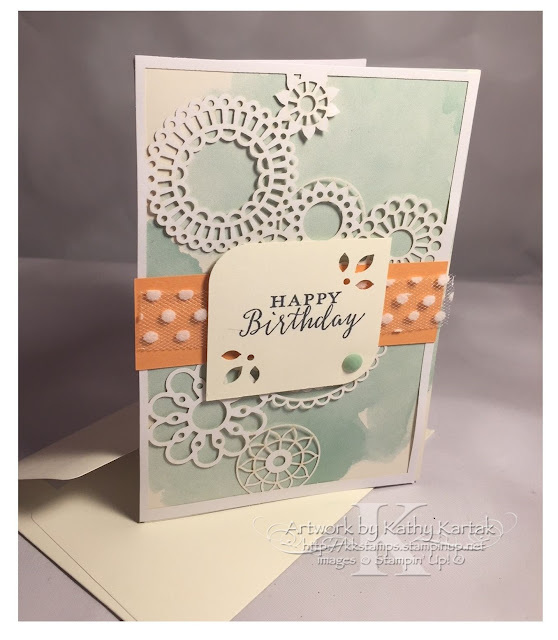 We made today's card at Stampin' Up's OnStage event at the beginning of April. I've got to tell you that when I flipped through the new catalog, I completely missed the Delightfully Detailed Specialty Paper on page 189. Even when I went back to take a look at these delicately detailed laser-cut sheets, I was all "meh" about them. But then we used them on one of our make-and-takes and WOW! I'm in love with this paper. There are 8 sheets of 12" by 12" paper--4 sheets of a beautiful floral design and 4 sheets with distinct patterns to cut and use on the coordinating Delightfully Detailed Note Cards & Envelopes on page 193. Each sheet is Vanilla on one side and White on the other. Look at this pretty note card we made!! We started with our choice of Delightfully Detailed Note Cards--they come in two colors: Blackberry Bliss and Mint Macaron on Very Vanilla. We cut out one of the detailed pieces from the Delightfully Detailed Specialty DSP and adhered it to the front of the Note Card. We added a 1" by 4" strip of Grapefruit Grove Card Stock and a 4" piece of the gorgeous Polka Dot Tulle Ribbon--which comes in Very Vanilla and Whisper White. We stamped a sentiment from the "Detailed with Love" stamp sent in Memento Tuxedo Black Ink onto a 2" square of Very Vanilla and rounded the corners with the Detailed Trio Punch. We also added the fleur de lis with the same punch! The "Detailed with Love" stamp set and Detailed Trio Punch can be purchased as a bundled, saving 10% off the price of purchasing them separately! To finish the card, we adhered the sentiment to the card with Stampin' Dimensionals and added one Mint Macaron Faceted Dot for a finishing touch. Adorbs!